Kay Van Wey is a Board Certified Personal Injury Trial Lawyer with over 25 years of experience, and her peers have voted her a Texas Super Lawyer for ten consecutive years (2003-2012). Super Lawyers is a Thomson Reuters Service. Kay has attained membership in the Million and Multi-Million Dollar Advocates Forum because of past results she has achieved for her clients. Kay Van Wey began her legal career in 1984 in her hometown of Lawton, Oklahoma as a Comanche County Assistant District Attorney. As a young prosecutor, Kay gained valuable courtroom experience. She later built upon the fundamentals she learned as a prosecutor as she tried numerous civil and criminal cases throughout Texas and Oklahoma. Over the years, Kay Van Wey has focused her practice on representing plaintiffs in personal injury litigation. She has represented many people who have become the unwitting victims of catastrophic personal injury or wrongful death. She has received national media attention for her work and achievements on her clients’ behalf. 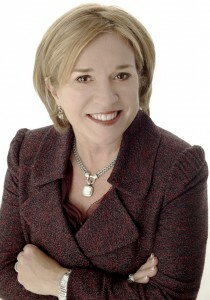 Kay Van Wey is licensed to practice law in Texas, Oklahoma, and Illinois and is admitted to practice before the US District Court for Northern District of Texas, the US District Court for Eastern District of Texas, the US District Court for the Western District of Oklahoma and the US District Court for the Northern District of Oklahoma.